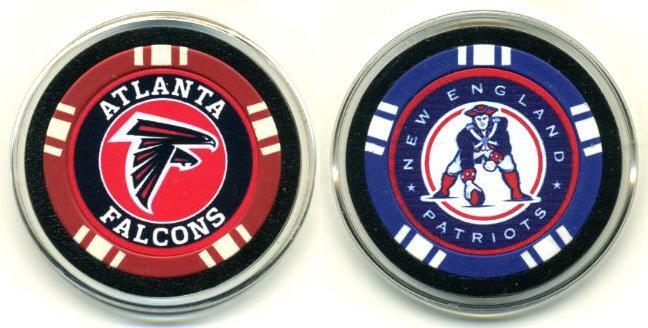 Custom design Super Bowl poker chips featuring the Atlanta Hawks and New England Patriots are for sale at our websites. 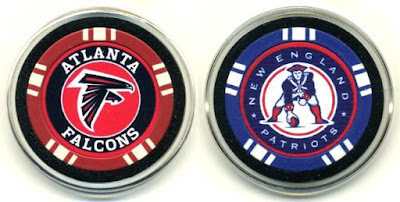 Poker players use this to secure their cards. When not actively looking at them, players position the card guard protector over their cards which protects them from being accidentally exposed or folded.